Deleting junk files and unwanted cache items is a great way to give your iPhone (or iPad) a spring-clean speed boost and get it running faster than ever. Step 1: Delete Safari cache on iPhone and iPad. Step 2: Clean App Data on iPhone and iPad. 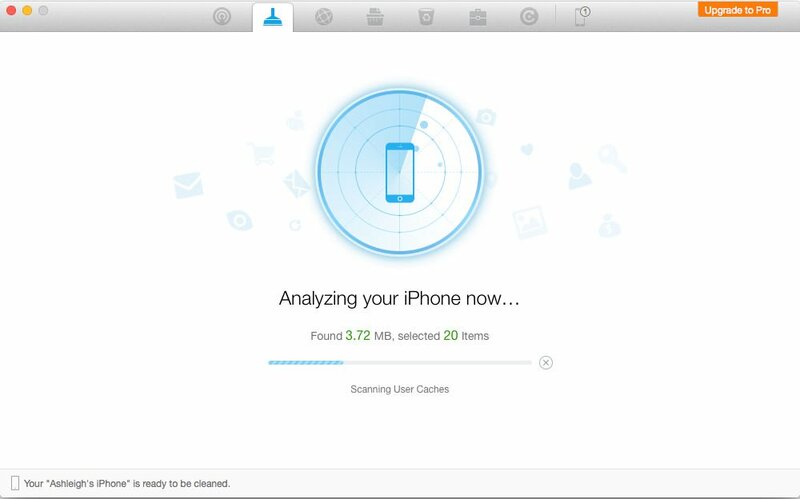 Step 4: Download Cleaner App for iPhone and iPad. Many times you might have find “Documents and Data” in your app storage when your phone is running out of storage. Before you delete documents and data from your iPhone, it is better to understand what exactly the thing is. In a day, you work on many stock apps and third-party apps; you also access some iCloud documents. All this compiles cache data on your iPhone and iPad. You need to remove this document and data from your iOS devices. Why do apps need to store cache? They store cache to let you have smooth sailing experience. As for instance, when you search anything in Safari, the web browser keeps a record of it to let you access it instantly next time. Likewise, YouTube keeps a record of your watch history to recommend the type of videos which interest you the most. Open the Settings app, and scroll down and Tap on Safari. Scroll Down and again Tap on Clear History and Website Data. Tap on Clear History and Website Data. Select an app that’s taking up a lot of space. Take a look at the entry for Documents & Data. If this is taking up more than 500MB, it’s worth deleting and reinstalling the app to clear the space. Tap Delete App, then head to the App Store to re-download it. This will be a clean install without all the data and documents. iOS will manage your memory effectively without you having to do anything. But restarting an iPhone occasionally is a good way to clear the memory and ensure that important apps have enough to use. How to Restart your iPhone? Hold down the Sleep/Wake button (on the top or at the top-right of the device) until “slide to power off” appears. Swipe the power off slider. There are various apps available that can help you quickly get rid of files you don’t need. These apps are normally downloaded onto your Mac or PC, which you’ll then need to connect your iPhone (or iPad) to in order for it to work its magic. Attach the iPhone to your Mac using the USB Cable. Open PhoneClean and click Scan. Much like PhoneClean by iMobie, iMyFone Umate for Mac and Windows can be used to quickly and easily remove temporary and junk files from your iOS device. Open iMyFone Umate and click Scan on the Home tab. Clear Junk files and Temporary files to clear a lot of space on your iPhone (4GB on our test device). You can also clear out any large files (videos and so on) and see, at a glance, apps that take up a lot of space. These can also be deleted fairly easy using iMyFone Umate. When Photo Stream is enabled, it automatically uploads your new photos and syncs them all of your iCloud devices. Turning it off can help in taking control the storage. It will delete all of the Photo Stream photos from your iPhone. There may be a number of unnecessary photos in your Camera Roll. Step 1. 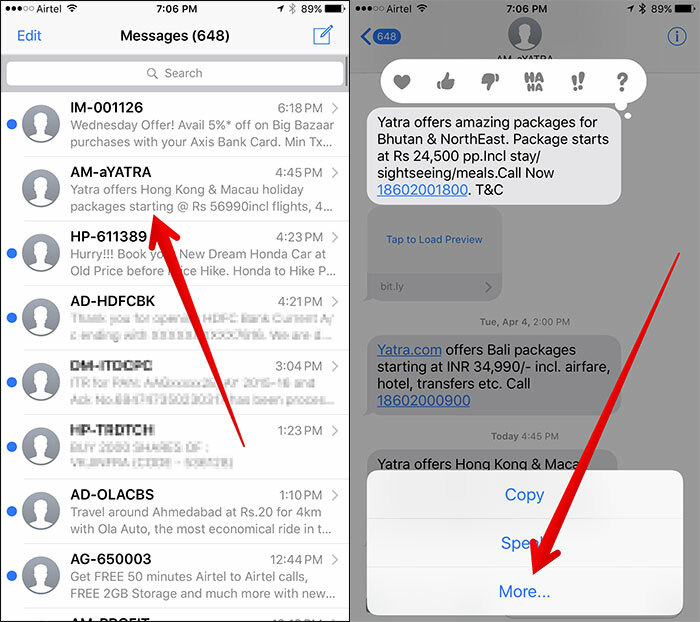 Open Messages app → open conversation → simply touch and hold any message → tap on More. Step 2. 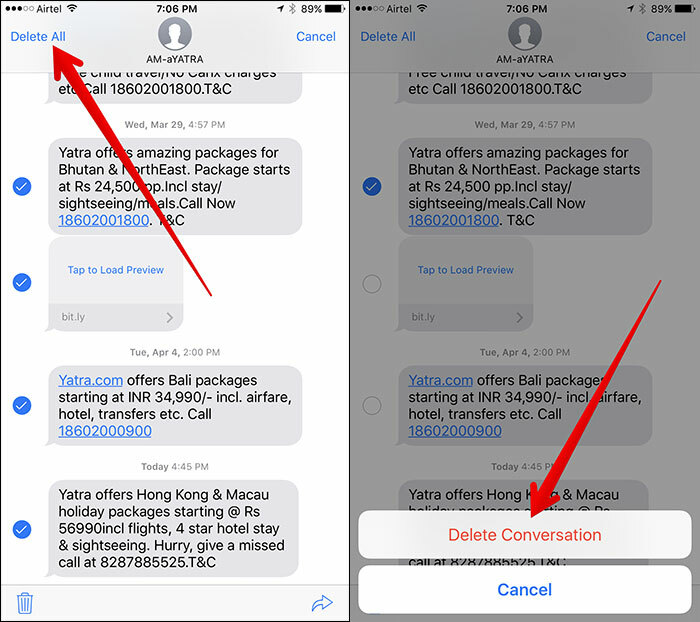 Select the message you want to delete and then tap on Delete All at the top left the corner. 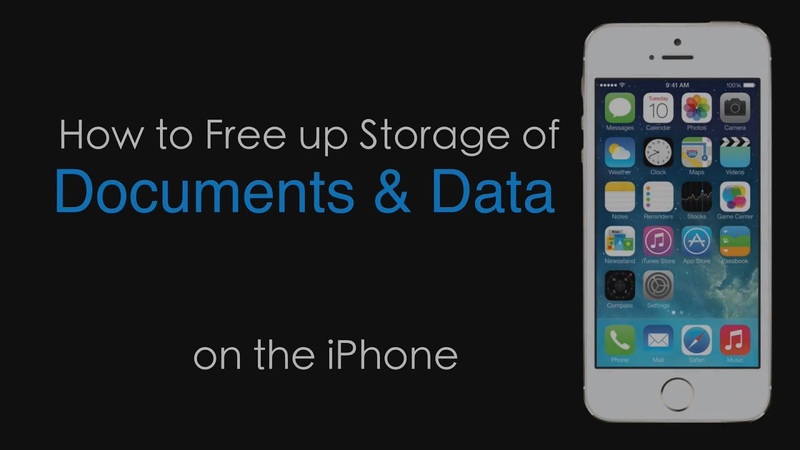 I hope you have now fully understood what documents and data is and how to clear it off on your iOS device. By cleaning it off regularly, you can keep your device junk-free; preventing it from running out of storage.